One of the things that makes someone an outstanding disc jockey is their ability to blend songs perfectly in a set. Simply put, this implies that you should know which song to play next and at what minute. The arrangement of songs in a set is very crucial. You should start with more mellow tracks and build up the intensity progressively through the set. This is just one of the things that separate a good dj form a great dj. Very few deejays in Kenyan posses this skill and Vinn Vader happens to be one of them. This young disc jockey is so talented that I can confidently say that he has the precision of a surgeon. Although he’s not as popular as your favorite turntablist, he’ll soon become a household name because his skills set him apart from the crowd. All of his mixes come together perfectly and you can easily tell that he paid attention to every detail. His mixes aren’t too long, most of them are under ten minutes. He makes mash ups that will definitely leave you entertained within a short period of time. What is more surprising is that he mostly uses his computer to make mixes, not a turntable as is the case with most deejays. I’m sure you all know how hectic this can be. Below is a sample of Vinn Vader’s work. I should, however, warn you that it is really addictive. 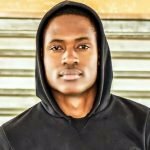 The post Vinn Vader, a deejay with the precision of a surgeon (Video) appeared first on Ghafla! Kenya.